In love with my Vintage Romance palette! I am loving my new Sleek Vintage Romance Palette which was kindly gifted to me by the lovely Sandra in Waterford Health Park. I had my eye on the Sleek palettes for ages and they were on my purcase list. The palette is black, matte, sturdy and a bit weighty. 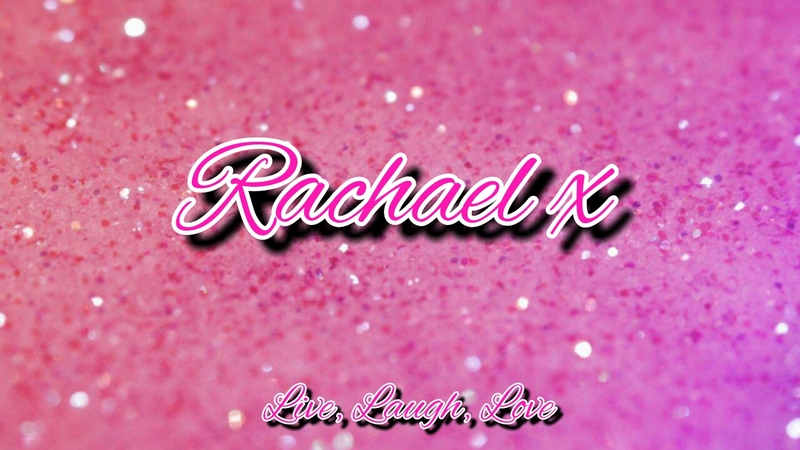 It's very basic, simple and has a lovely full mirror on the inside cover which I absolutely use a lot when applying my make up with this palette. These palettes are very slim and great for traveling. As you barely even notice it in your bag. You receive the palette in a little cardboard sleeve and inside the palette is a little clear sheet with the names on. I have mislaid mine but I do wish that the names of the shadows were listed on the back of the palette instead of just on the plastic screen piece. I am in love with the top neutral row of shades. Being a huge fan of shimmers, I love the browns and the gold so much, they are great shades to work with the deeper purples for very wearable looks! 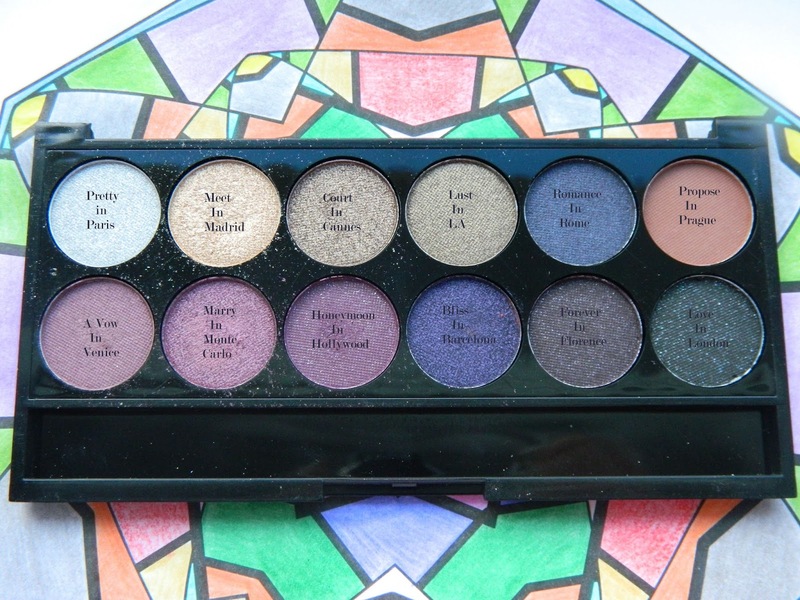 The pigmentation is great in this palette and the colour pay off is equally as good. I have done some swatches below. I love all these shadows. The bottom row is the fun in this palette, I've never come across another palette which such a great range of purples and I am in love with how the top row shades complement these cool toned purples. I don't have any purples in these tones so I was so excited to have this! I particulary like Honeymoon in Hollywood its a perfect purple colour. The shadows in this palette are very consistent, all smooth, all pigmented, non are chalky or uneven and all compliment each other with such beauty! The only shade that is matte is the last terracotta shade on the top row propose in prague, two of the purples and the black are matte but have glitter in them! I'm in love with all these shades as I love my glitter and metallics. The variety of purple tones is very beautiful and great for someone who doesn't have any shades like this in their collection.I found that the light gold, taupe, khaki and terracotta shades are perfect for working together with any of the bold purple tones. 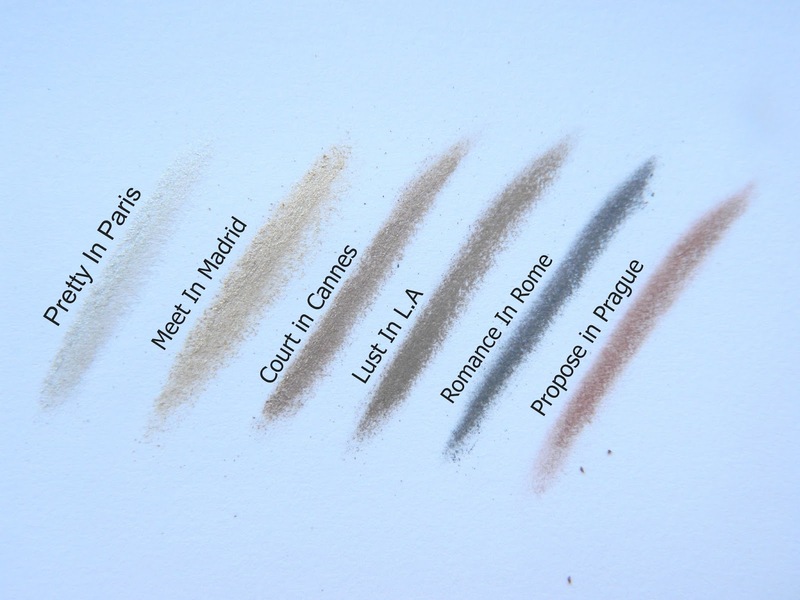 I've worn a combination of quite of a few of these shadows together and they blend very well together and are super pigmented over a cream base such as Maybelline Colour Tattoos. I would recommend this palette to everyone. This palette was a huge hit for me. 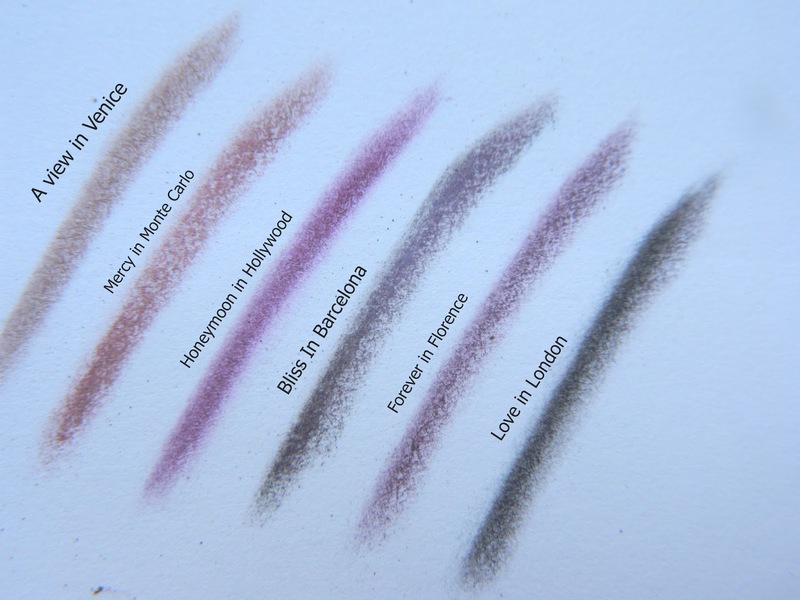 The colors are all very wearable and easy to pair with each other within the palette, a great one for those who want or love purples! I 100% would repurchase this. If this palette were to ever go missing or break, I would try my best to get it again. 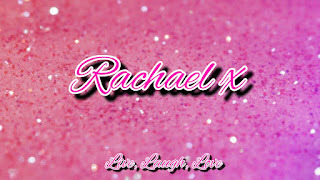 This is a super fun, girly, classic set of colors that work very well with each other. They are almost all shimmery or have glitter and produce very pretty looks. 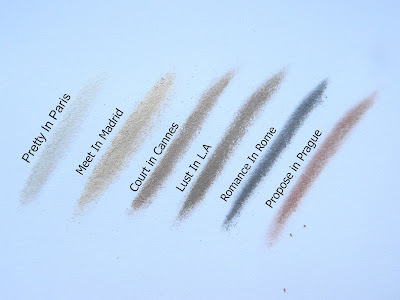 The formula of these shadows are so pigmented and smooth, they blend very easily too and this is a great palette for those who are going to get lots of use out of these shades! These are available locally in Waterford in the Waterford Health Park, Castle Pharmacy, online from boots.ie or in selected boots stores. What Sleek palettes do you own/want?